In today’s fast-paced life, being without a vehicle can be quite a nightmare. Therefore, being involved in an automotive accident sets you back in more ways than one. At City Center Collision Services, we help out people in such situations by providing them with top-notch auto body repair and restoration services. No matter how severe the collision damage to your car, our auto body repair work soon has you cruising on the roads in a vehicle that is as good as new and sometimes better than before. Our techs take pride in trying to make every car better than new. There are many auto body repair shops that claim to offer services to match a dealership service center, but our car body shop is the one that has actually delivered such quality consistently for years. 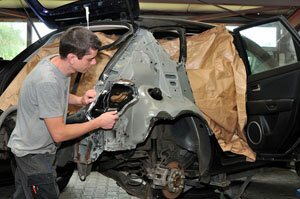 What Sets Us Apart from Other Auto Body Repair Shops? 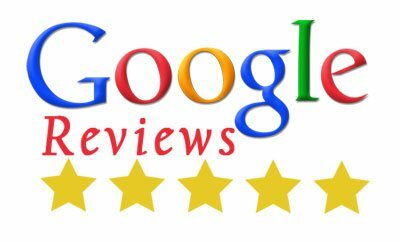 We love being known as one of the few auto body repair shops that put the customer first. Quality and safety have always been top-most priorities with us. We make sure every job is delivered with full sincerity and utmost regard for the client. 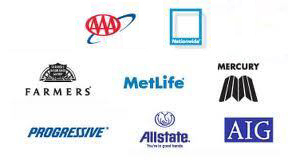 To take the stress out of auto body repair for our customers, we are happy to work with all insurance companies. So, don’t be taken in by auto body repair shops that just make tall promises; trust professionals like us who actually walk the talk! 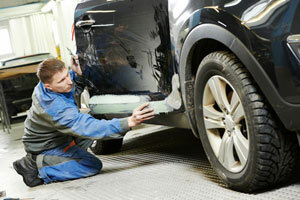 Why Choose Us for Your Auto Body Repair Needs? If you are on the look-out for auto body repair shops that are reputed for reliability and commitment to first-rate workmanship, your search ends with us. Come to City Center Collision Services for auto body repair completed in a time and cost efficient manner. Get in touch with us at 253-948-4655.